There’s something really wonderful about having homemade holiday touches in the home and gifting handmade gifts. 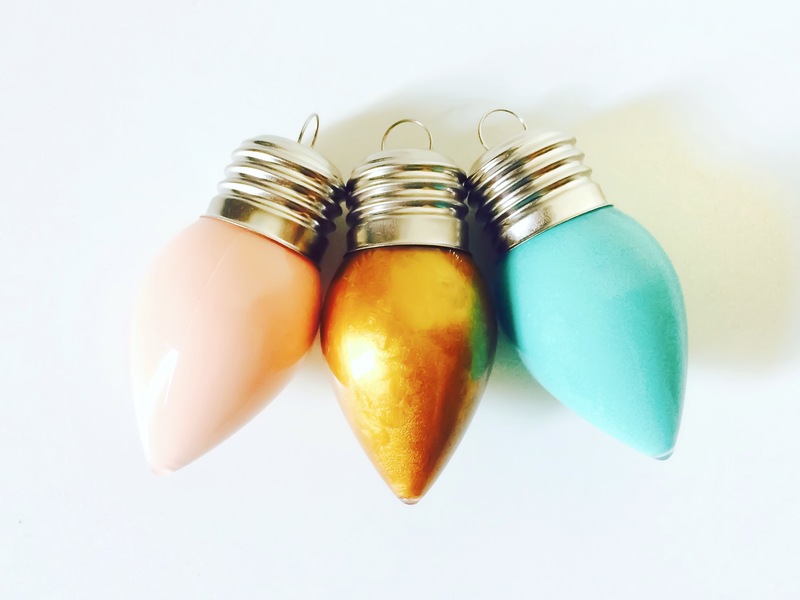 Jen from Craftic walks us through a lovely painted Christmas ornament tutorial inspired by clear glass ornaments discovered at a local craft store. 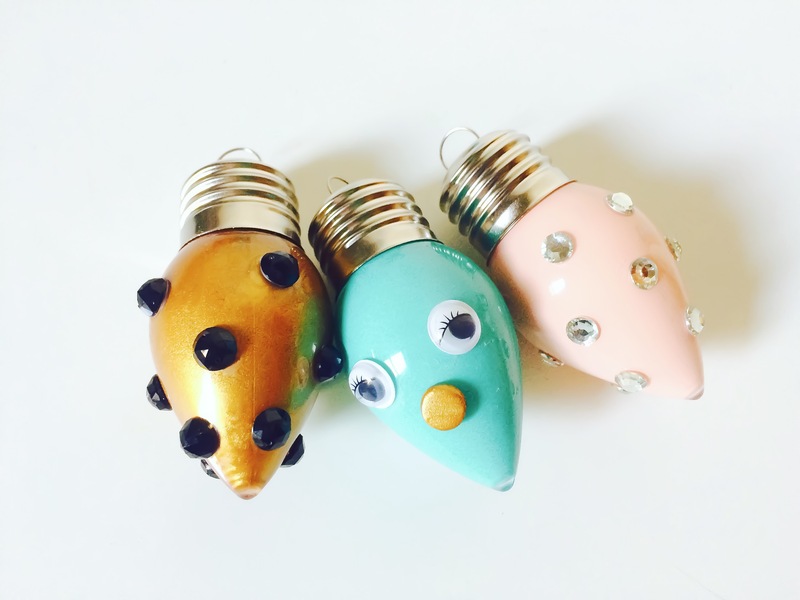 With paint, imagination, and fun finishing touches – these adorable DIY Christmas ornaments are the perfect holiday craft to make right now. 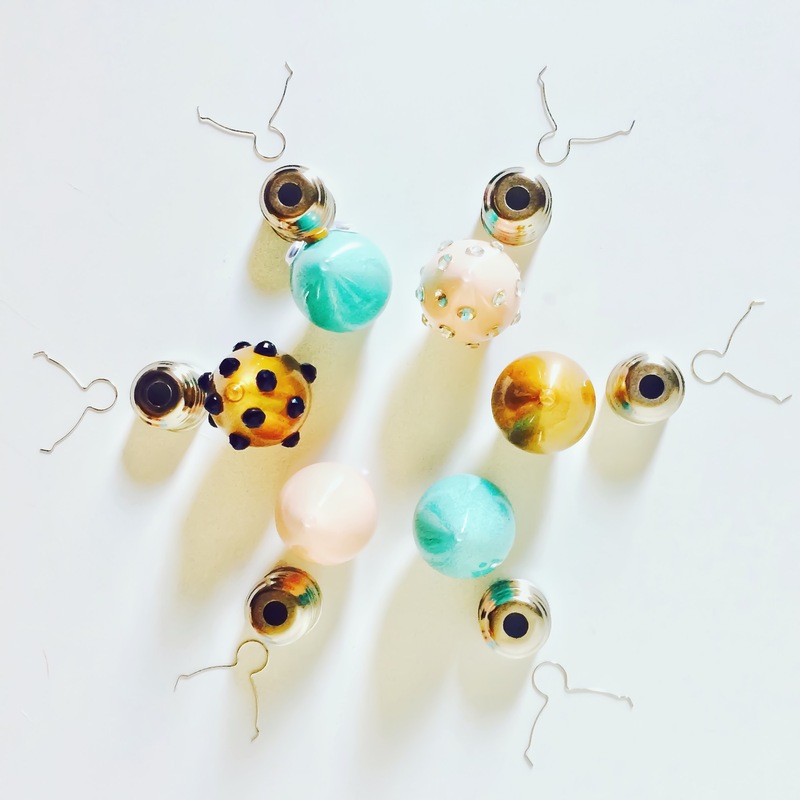 Sequins, buttons, googly eyes, or any finishes for decorating. Carefully take off the ornament tops. Get your acrylic paints ready. Consider mixing a custom palette to match holiday cards or other decorations in your home. Paint the interior of the ornament by squeezing a bit of paint into the ornament from the bottle. Depending on your paint’s viscosity, swirl it around to get a good coating (if it’s more fluid) or coat it with a paint brush (if it’s thicker). Place the ornaments upright on a paper plate and allow the excess paint to drip down overnight. Tip: don’t use a napkin or you’ll end up with little bits of the towel dried to the edges! Check on your ornaments after drying overnight. If there are splotches where the paint dried, touch up the spots with a bit of paint on a brush. Decorate the outside of the ornament however you wish! Using craft glue, attach sequins, buttons, and beads to create patterns, googly eyes to make faces, or anything else. Leave to dry for at least two hours. After drying, secure the ornament tops back on and enjoy your newly created works of art! Check out more of Jen’s crafty goodness over on Craftic! These are adorable! I have never made ornaments with my Daughter! I am definitely adding this to my Christmas activities list! How darling is this craft! You could make Santa, Rudolph etc. So cute! This is such a fun craft, I’m gonna make it with my best friends kids. These are so cute! They would make great teacher gifts.